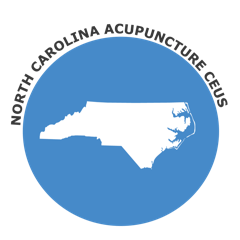 North Carolina uses the initial NCCAOM examination, however it does not require NCCAOM Certification for license renewal. North Carolina accepts NCCAOM approved courses for their license renewal requirements. Please see *Reference, page 6. Please visit the NCCAOM PDA or CEU course page for current course listings. Requirements: The license shall be renewed every two years on July 1; 40 Hours/CEUs/PDAs of continuing education are required in this time frame; *Reference., page 5.